Be willing to be an active member of the organization, including duty shift participation, completion of hundreds of hours of initial and ongoing training and participation in department events. Our Firefighter/EMT membership is for those interested in providing both firefighting and EMS service — having or obtaining BOTH Firefighter I and EMT are required. We do not have “Firefighter only” roles. 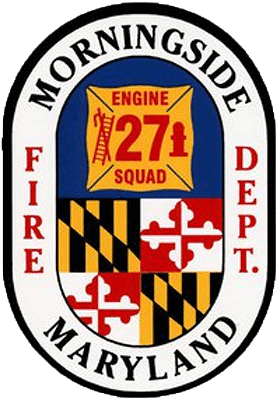 All Fire/EMS members are cross-trained to operate on all MVFD apparatus. All training is provided. Non live-in members are required to be on duty at least 32 hours a month, scheduled via flexible shifts — this is in addition to training, meetings and event participation. Learn more and apply here. Our live-in bunkroom program is for experienced firefighters and EMTs. This program allows you to live at the fire station in exchange for participation and providing service to our communities. Live-in members are required to be on duty a minimum of 40 hours during the week and 12 on the weekend. Learn more about the benefits of our Live-In program here and apply today. EMS Only membership is for individuals who only wish to ride our ambulances in a Basic Life Support (BLS) or Advanced Life Support (ALS) capability. All members are required to have or obtain Maryland EMT. All training is provided. Paramedics seeking ALS credentials will also complete an internship program with Prince George’s County. Non live-in members are required to be on duty at least 32 hours a month, scheduled via flexible shifts — this is in addition to training, meetings and event participation. Learn more and apply now. Not looking to participate as an operational Fire/EMS member of the department? There are many ways you can lend your passion for volunteering, background and experience to the MVFD. We are always seeking volunteers for administrative and support roles — including administrative management, financial support, event support, community engagement, education and more. Apply now.